"Jewish Easter," by David Liss, in Jewish Noir, edited by Kenneth Wishnia, PM Press, 2015. It's hard to write funny well. It's hard to write grim well. Do both at the same time and you've got something. Al's family moved from Long Island to Jacksonville, Florida, when he was in third grade, because of his stepfather's import business. Now he is thirteen and has begun to figure out exactly what is being imported. But that's not his immediate problem. There are a couple of anti-Semetic rednecks in his class and when they hear about Passover (which the sensitive teacher helpfully describes as "Jewish Easter,") they decide to invite themselves forcefully to the seder. Let all who are hungry come and eat, right? Sounds like a Manischewitz-fueled version of Key Largo. But what I loved about the story is not the suspense but the surprising choices the characters make (especially the grandmother). Al kept me guessing right up to the last paragraph. More hardboiled than noir, but a fine piece of work. 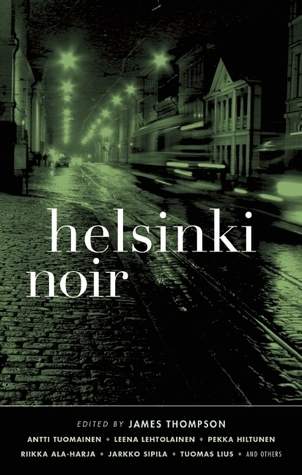 "Stolen Lives," by Johanna Holmstrom, in Helsinki Noir, edited by James Thompson, Akashic Press, 2015. This is a complex story, told in multiple flashbacks. I had to go back and read parts of it a second time to see exactly what happened. But the ending made it worthwhile. Carin is a new mother and she blogs a lot about her joy in the experience, and her brilliance at the task. Also she hands down her dictates as to what is and isn't fashionable. And writes about her handsome husband. Sounds insufferable, huh? But she isn't the main character. Celestine lives nearby, and she watches Carin, online in real life. But mostly Celestine obsesses over the death of her little brother when she was a child, for which she was partly responsible. Did I mention that Carin leaves her baby, Gabriel, snoozing in his perfect stroller in the lovely fresh air outside her charming window while "Carin, with her shades drawn, is advising clueless mothers on how to best take care of their offspring. And Celestine is standing on her balcony right across the street..."
Celestine has plans for Gabriel. They don't go exactly right. But what happens is quite astonishing, and worth a read. "Gotta Go," by Elaine Viets, in Alfred Hitchcock's Mystery Magazine, November 2015. Sorry this review is late. Bouchercon doth make sluggards of us all. "If you want to be a good-looking corpse, carbon monoxide is the way to go. Your skin is a lovely shade of pink." That helpful tip is the opening line of this story, which is intended to be the first in a series about Angela Richman, Death Investigator for a Missouri county. 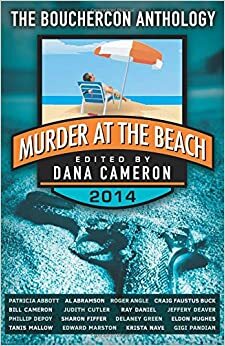 In this tale she is looking into the apparent suicide of a wealthy woman, found in her car in a closed garage. The detective in charge of the case is an "errorist," a lazy cop who makes a lot of mistakes. He wants to wrap up this obvious suicide before he goes off-shift. Angela has a couple of hours to find evidence that the death was (surprise!) murder. The story is full of detail, and has a fair-play ending. Also at Bouchercon, the Private Eye Writers of America gave out their Shamus Awards. Gon Bor Ari took home the Best Short Story prize. 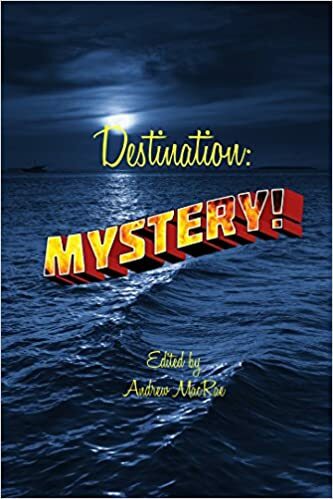 "Mess With The Bull, Get The Horn," by Michael Terlecki, in Destination: Mystery, edited by Andrew MacRae, Dark House Books, 2015. Thomas Gavel had a dream job designing slot machines. Things go wrong when he visits Las Vegas and gets suckered in a high stakes poker game. The bad guys say all he has to do to pay off his debt is design a slot machine they can use to get rich with. But the casino guys will catch any kind of payout pattern. Can he do it? The moral of the story is: don't mess with engineers.